Glencoe Accounting: Real World Applications and Connections is the only accounting program to use real-world companies AND real-world accounting software to teach accounting. 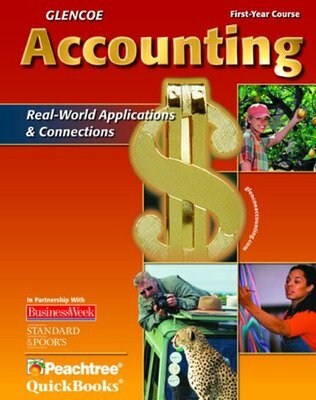 Glencoe Accounting: Real World Applications and Connections - First Year Course is the only accounting program to use real-world examples and real-world software to teach students accounting. Peachtree and QuickBooks are integrated throughout, so students use the software they're likely to use on the job. The use of real financial statements from real companies lets student clearly see the connection between accounting and day-to-day business operations.